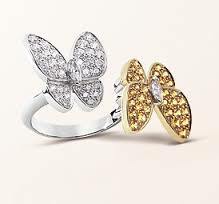 This gorgeous 18k white gold and diamond butterfly hand ring flew into the store this morning. Timid about hand jewelry? This is an easy way to test the waters. It’s delicate and whimsical, and so on-trend right now! Need proof? 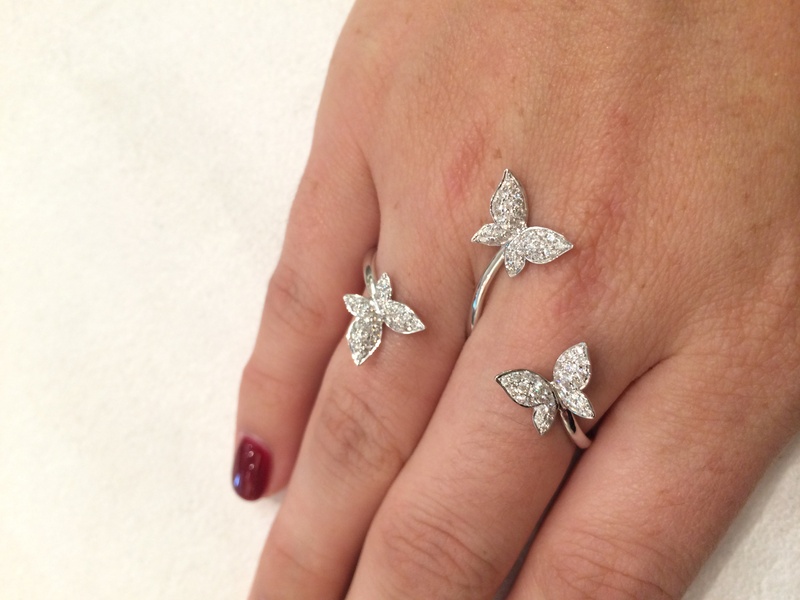 Check out one of Van Cleef’s new butterfly rings and Blake Lively stepping out in a sumptuous Valentino butterfly trench below!